For the past 30 years, Microsoft Corp. has introduced hardware that helps people interact better and more easily with Windows. Today, Microsoft Hardware continues the tradition with the introduction of new products that work beautifully with Windows 8. Microsoft Wedge Touch Mouse packs full functionality into an ultracompact frame that’s great for a mobile lifestyle. Small enough to fit in your pocket, the Wedge Touch Mouse is designed to complement your Windows experience in all its forms, providing four-way touch scrolling and navigation at your fingertips. 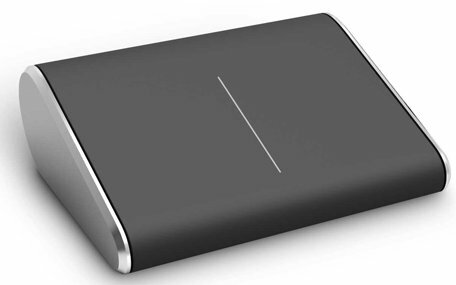 Its artful and minimalist design also comes free of cables or USB transceivers — you simply turn it on and connect it to your Bluetooth-enabled laptop or tablet for a clutter-free experience. It includes Backpack Mode to power down and sleep along with the computer it’s paired to, extending battery life. Pricing: estimated retail price of US$69.95. 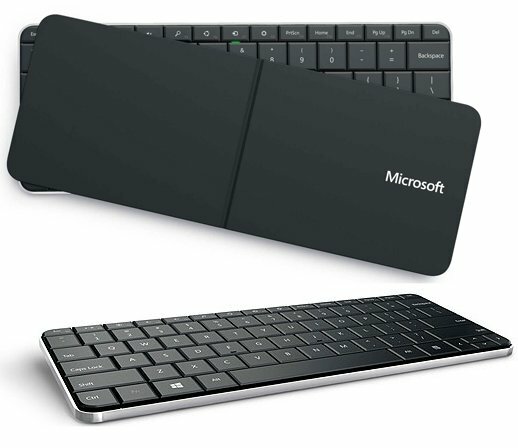 The new ultraslim Microsoft Wedge Mobile Keyboard brings full-size keyboard comfort, efficiency and speed to a tablet. Designed specifically for tablet users, Wedge Mobile Keyboard includes some of the most commonly used features, such as Windows Hot Keys and built-in media keys. The lightweight design makes it easy to carry, and its full-sized keyset provides a comfortable experience that makes typing a breeze. Its durable cover not only helps protect your keyboard from scratches but also quickly converts into a tablet stand. When you’re done using it, simply snap the cover back on the keyboard to power it down before you stash it in your bag. Bluetooth technology lets you wirelessly connect to your tablet without a cable or transceiver. Pricing: estimated retail price of US$79.95. Designed to provide comfort matched with portability, the Microsoft Sculpt Touch Mouse is a great solution for smooth and easy navigation with a Windows 8-based PC. With a four-way touch scroll strip, you can breeze up and down, left and right, and through applications and documents with a simple finger swipe, making it great for navigating the Windows 8 Start screen. Sculpt Touch Mouse uses Bluetooth technology, so you can wirelessly connect to your tablet without a cable or transceiver. Pricing: estimated retail price of US$49.95. The Microsoft Sculpt Mobile Keyboard provides an ideal balance of mobility, comfort and productivity. A full-size keyboard with Microsoft’s Comfort Curve design and Bluetooth connectivity, the Sculpt Mobile Keyboard is built to be the ideal travel companion. At just more than one pound, the keyboard is perfect for on-the-go computing with high-quality construction built for travel. Its Comfort Curve design helps position the hands and wrists in a natural and comfortable resting position. Battery-saving technology powers the keyboard down into sleep mode after a period of inactivity. The keyboard wakes up and reconnects with the simple tap of a key. As promised, the Microsoft Touch Mouse will obtain updated functionality specifically designed for Windows 8 with new gesture settings to easily navigate the new UI. One-finger swipes allow customers to move naturally and intuitively side to side or up and down, shifting content on screen. Two-finger movements manage apps, switch through open apps and show app commands. Three fingers allow customers to zoom in and out. Thumb gestures navigate backward and forward within apps. 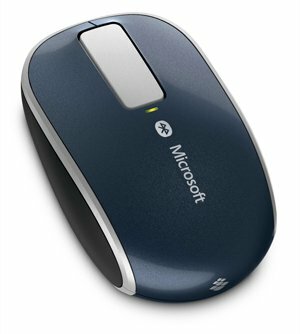 Beginning with the introduction of the Microsoft Mouse, the Microsoft Hardware Group has designed its hardware to specifically light up features in Windows. 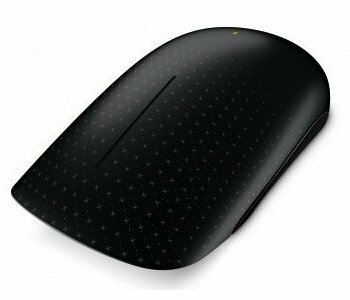 Optimized for Windows 8, Microsoft’s new lineup of mice and keyboards are loaded with features including Bluetooth connectivity, BlueTrack Technology for tracking on virtually any surface,* and specific functionality that gives customers a fast and fluid way to navigate in their world with Windows 8. The hardware is designed by Microsoft and optimized for Windows, desktop, laptop and tablet so users can have the best computing experience for any lifestyle. From desktop and notebook to ultrabook and tablet PCs, Microsoft’s newest accessories are the perfect companion for Windows.